If you are working on a Formula 450 super single conversion you have come to the right place... 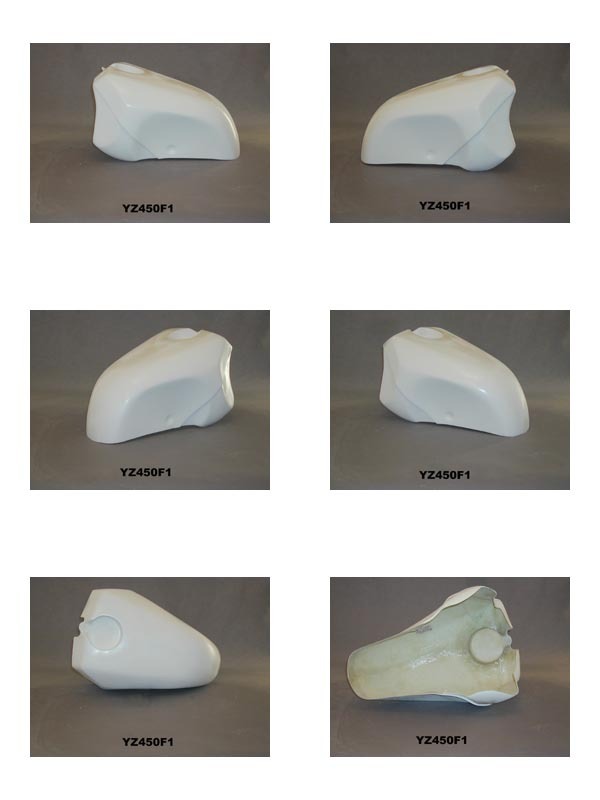 Most of the guys we've helped have used TZ250 or RS250 fairings, both work equally well. Of course, you will have to fabricate some mounting brackets but if you are contemplating a big project like this that can't be a big deal. We're working on a few more tank shells for different brands. Give us a call to discuss your project! These race fairings started of as Honda RS125 bodywork that was stretched height wise to fit a taller chassis and motor. We also offer the tail section and fuel tank cover. All these parts are fairly universal, although the fuel tank cover is designed specifically to fit the KTM gas tank and frame - originally designed for 07-14 KTM SX-F 450 and will fit 07-14 350 thru 525 motocross and enduro models with some light modification. Besides KTMs, these fairings and tail will fit many other supermono/narrow twin projects and would be good a good choice for electric bike projects as well. Call and ask your sales rep about fitment for your project today! Designed for KTM SX-F 450 '07-'13. Designed for 2006 & up YZ450F twin spar chassis, works on - '07-'08 WR250 and WR450 as well. 05-06 CRF 450 tank shell for Super Single conversions. It's got a big flat tab in the back for easy mounting and the front is held down by the stock gas cap.